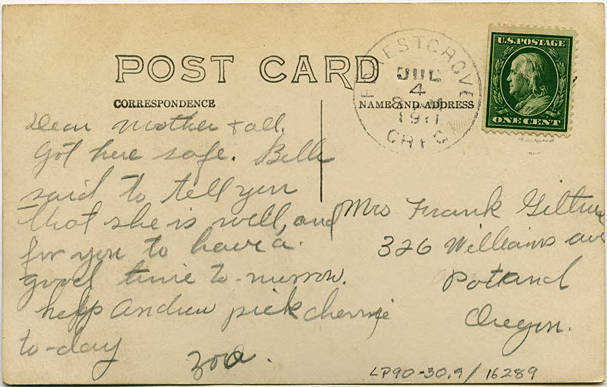 Postcard from Zora Giltner to her mother and family. In it she gives an account of having a safe journey and of picking cherries. The image on the front of the postcard shows a city scene with a streetcar. The photo may be of Portland, Oregon. [back] Dear Mother + all, Got here safe. Belle said to tell you that she is well, and for you to have a good time to-morrow. help Andrew pick cherries to-day Zora [?] 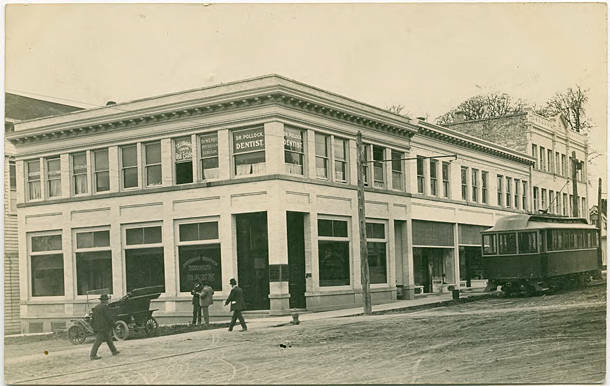 [addressed to] Mrs Frank Giltner; 326 Williams Ave; Portland Oregon.